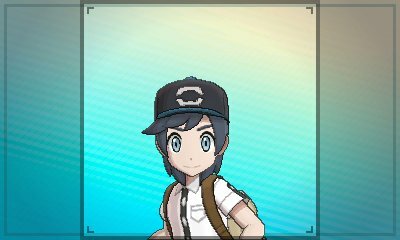 In previous games, there was a Trainer Card which showed the details of your journey. 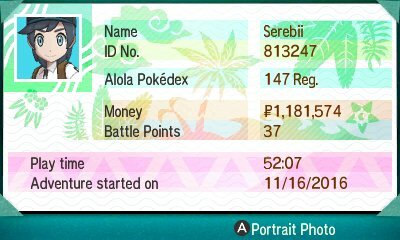 This will show the money you have the Battle Points, the amount you have played, when you started your adventure and so forth. 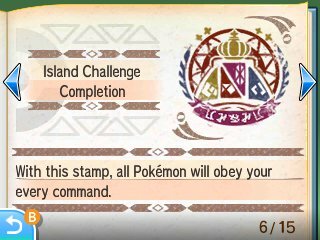 However, while previous Trainer Cards provided various accomplishments to be denoted by colour change and stars, Pokémon Sun & Moon changes it up considerably as the game doesn't have badges for you to collect.